A group of 24 market-rate tenants at the struggling Upper East Side condominium Manhattan House were granted the right to appeal their evictions to the New York State Appellate Division, a move that could renew the debate over the rights of non-stabilized tenants in a residential conversion. In December 2008, an appeals court overturned an earlier ruling to block the evictions of 29 tenants at Manhattan House, who were originally issued eviction notices during the conversion of the property from a rental building to a condo. 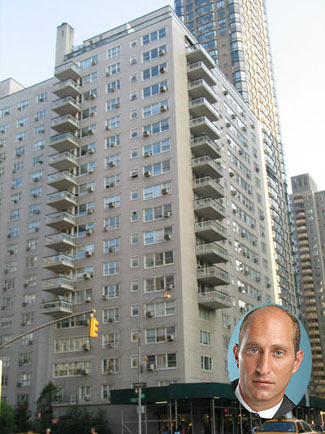 The tenants refused to leave the building after developers Peter Kalikow and Jeremiah O’Connor acquired the building at 200 East 66th Street, for a record $623 million in 2005. The developers planned to convert the 583-unit rental building into a luxury condo, but faced significant legal opposition from tenants who challenged the legality of their evictions. Attorney Adam Leitman Bailey, who is handling the tenants’ appeal, says he will argue that the tenants were legal occupants of their apartments at the time of the conversion and had the right to get their leases renewed. Lawyers for the tenants previously argued that the developer tried to illegally push out market rate tenants from their apartments through harassment, by offering new leases with exorbitant rent hikes and refusing to accept rent payments. The court ruled, however, that the landlord merely exercised his right not to renew tenants with expired leases. O’Connor, who bought out Kalikow’s stake in Manhattan House in 2007, has since failed to sell hundreds of apartments under a severe economic downturn and a bloated market in which some critics charge that Manhattan House offered overpriced apartments at more than $2,000 a square foot. O’Connor has renovated about 150 apartments in the tower, but closed less than 90 sales, as dozens of buyers either failed to obtain financing or refused to close. Another 200 units are occupied by rent-stabilized tenants, and the remaining units are unsold. Four of the original 29 market-rate tenants have since entered agreements to buy their apartments, and a fifth tenant previously occupied the apartment under an extended lease, rendering their cases null and void, according to legal documents obtained by The Real Deal. Officials at O’Connor’s company O’Connor Capital declined to comment. In July, a similar group of market-rate tenants at Sheffield57 appealed their case to the Appellate Division, but the New York State Attorney General negotiated an agreement with that building’s former developer Kent Swig, which would give market-rate tenants “use and occupancy agreements,” which are similar to leases. Under that negotiated agreement, market-rate tenants at Sheffield57 agreed to an average 6 percent increase in rent.